We offer the best prices in the New Orleans area. With over 100 years of experience, we are the #1 driving school in Luling and the wider New Orleans area. We offer a safe experience, affordable prices, and teachers who have worked for public schools. The cost of the 14 hour course is $400. It consists of 1 day of classroom and 2 days of driving. This course is offered by appointment only so please call 504-487-1794 (Kevin Robicheaux) before sending in your registration paper. For the full 38 hour drivers education course the cost is $450. This includes 30 hours of classroom instruction and 8 hours of driving. A non-refundable deposit of $100 is required in order to hold a spot in the 38 hour class. The remaining balance of $350.00 is due before the first classroom session begins. PLEASE NOTE: STUDENTS WILL BE DRIVEN BASED ON AGE AND AVAILABILITY. OLDER STUDENTS WILL BE GIVEN FIRST PRIORITY!!! The cost for the driving test is $40. Any additional behind the wheel driving instruction will be $40 per hour with a minimum of two hours per session. 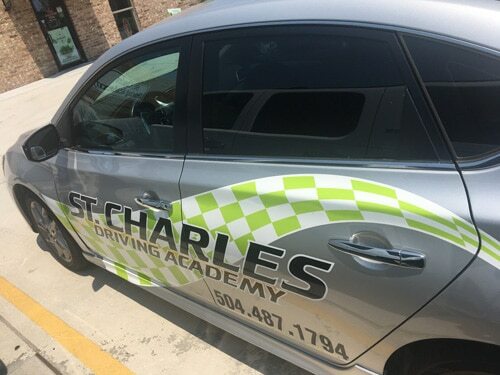 Make all checks payable to St. Charles Driving Academy, LLC. Click below for a registration form and what to bring for class.